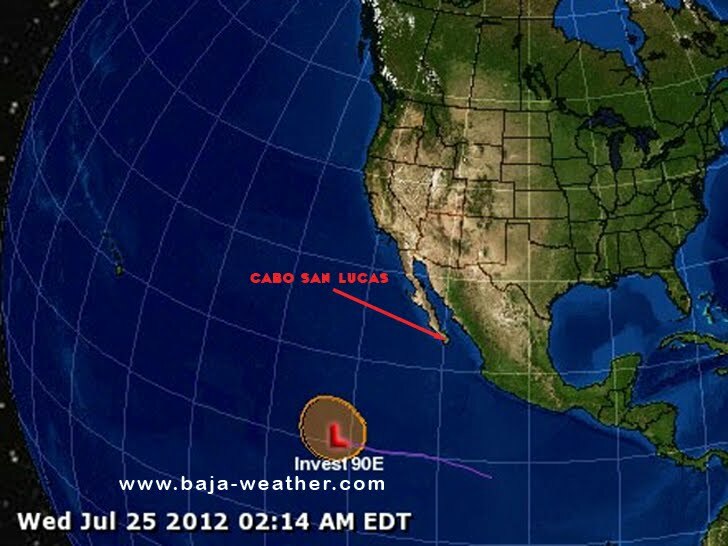 There has been little change in the low pressure area, Invest 90e, located about 1100 miles southwest of the southern tip of Baja California. Some slow development of this disturbance is still possible during the next couple of days. or west-northwestward at 10 to 15 mph.